Cleveland, Ohio, USA. This 250,000 square foot facility concentrated research groups from around the Cleveland Clinic’s 30 buildings into one larger interactive facility which provides lab and lab support for principal investigators, post doctoral fellows, graduate students and technicians in Biomedical Engineering, Cancer Biology, Cell Biology, Immunology, Molecular Biology, Molecular Cardiology, Neurosciences and Virology. Kornberg Associates collaborated with Cesar Pelli & Associates on the design of the Clinic’s Health Sciences Center, which includes the Lerner Research Institute. 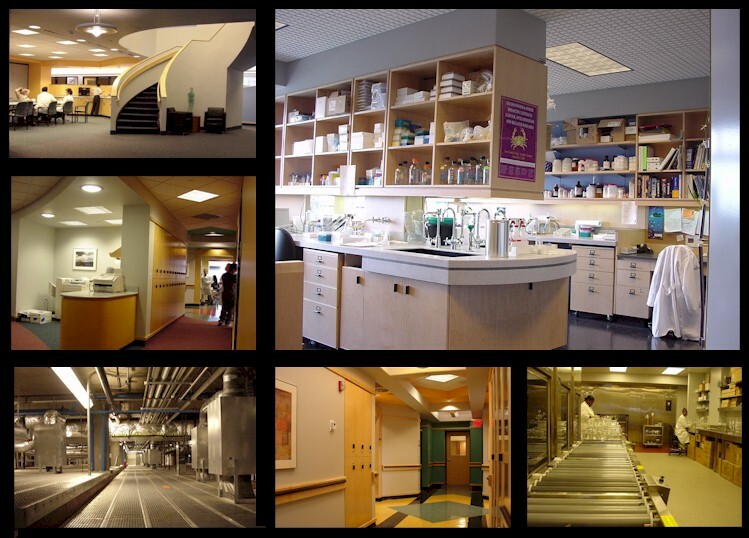 Kornberg programmed and designed the interiors of the research buildings, with Pelli’s office designing the shell of the complex and all administrative portions of the project.